Come on down, we are open! Enjoy our fresh made baked goods! We Cater! Contact us to provide tasty meals for your next event! Fresh baked scones, hot out of the oven! From a small gathering to a large get together, we will make a special menu for you! Did we mention choclate pies? YUM! We make some excellent pasta! Cookies, goodies, tasty treats! See what is on the menu today! The best Mother-Daughter Duo in the business can be found right here! 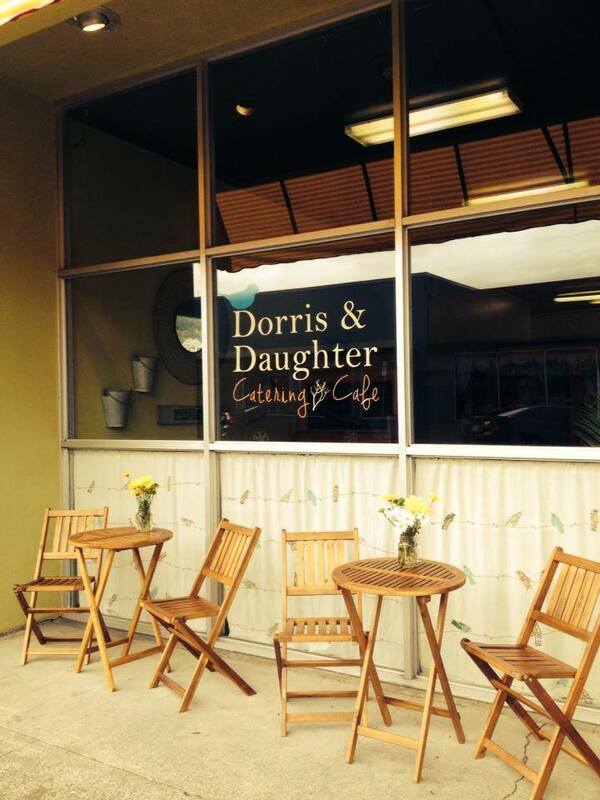 Dorris and Daughter Catering Company, owned and operated by Jeanne Dorris and her daughter Angi Caudill, was voted New Business of the Year by the Fortuna Chamber of Commerce in 2009. Jeanne and Angi’s secret to success is their outstanding, seemingly endless menu of homemade dishes made from scratch. No matter the occasion, Dorris and Daughter and their friendly, well-trained staff can take the worry out of one of the most important aspects of your event.